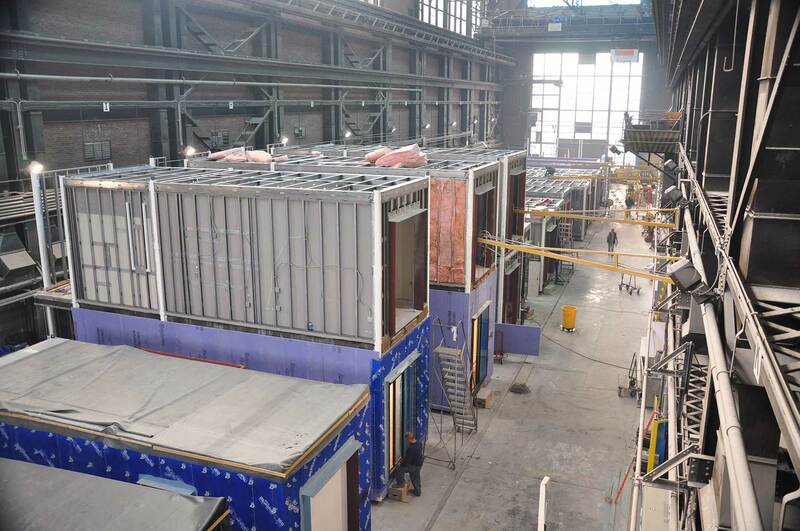 Skender is going all in on the new factory and modular fabrication startup, which they claim will put 100 people to work (an impressive number, as Skender only has 300 employees), and is using the opportunity to shift towards a design-build model. The company has bought out local firm Ingenious Architecture and will use the 10-person studio to guide the design and manufacturing of the modular units. Tim Swanson, formerly the head of CannonDesign’s Chicago office, will be joining as Skender’s chief design officer, Kevin Bredeson has been named the chief technology officer, and the company is hunting for a CEO to lead its factory. The move represents a huge expansion in scope for Skender, which has also changed its name from Skender Construction as part of the new direction the company is pursuing. Skender is expecting to roll full apartments, hotel rooms, and pieces of both multi-family residences and healthcare buildings off its new assembly line. Everything can be fabricated at the factory by tradespeople, from cabinets to light fixtures to units that have been pre-wired and set up for plumbing, then shipped to the potential construction site and unloaded via crane. Besides being able to construct modular buildings from the ground up (similar to New York’s Carmel Place), Skender plans to use the factory to work on both the interior and exteriors of its projects simultaneously, and standardize production. To say that modular architecture has had its ups and downs in recent years would be an understatement. While the world’s largest modular hotel, the Stephen B. Jacobs Group-designed CitizenM, is nearly complete in New York, the industry is still smarting from the bruising battle it took to complete 461 Dean Street in Brooklyn. The Pacific Park tower eventually became the world’s tallest modular building, but was mired in lawsuits between Skanska and developer Forest City Ratner until the latter cut their losses and sold their modular manufacturing factory to architect Roger Krulak and his company, FullStack Modular. It remains to be seen if Skender can make the model work for them, but their smaller scope should help. If all goes as planned, Skender expects to pick a site for the factory in the coming months and to begin production in the fourth quarter of this year.